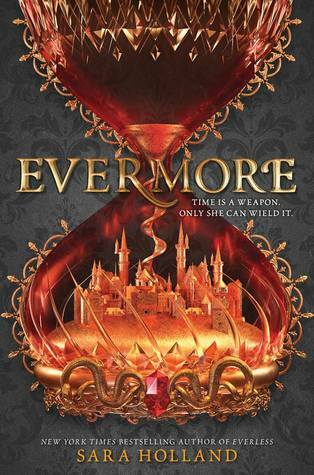 I’ve been eagerly awaiting Evermore since I finished Everless and all the twisty turns and such had been revealed. I’d had a sneaking suspiciou about where the Sorceress and Alchemist storyline was going and when it played out I was like OOOOO JULES IT’S ABOUT TO GO DOWN. I really liked how the sequel delved further into the relationship and long history between the two figures. Sara also had me as soon as Jules started figuring how to fully use her power and started doing some really cool sh*t with it! I did miss seeing the time as currency idea in this one but it didn’t detract too much for me because we still got lots of magic anyway. I’m still not entirely sure how I feel about the romance we’re given in Evermore but maybe that’s residual feelings toward Liam or for my ship that tragically sank in Everless (sighhhh). I absolutely loved getting some new characters in this one and have an especially soft place in my heart for Elias. Do you have a dream cast for the Everless series? Haha, I always have a tough time with this question. I’m perpetually behind on the latest TV and movies, so I’m not as familiar as I’d like to be with today’s actors and actresses. Plus, if I ever had the amazing fortune to see EVERLESS brought to the screen, I would love for it to be a vehicle to launch unknown actors! At the end of the day, though, I don’t have a set headcanon, and would love for readers to bring their own interpretations! That’s one of my favorite things about books: that every single reader will create a different version of the world and characters in their mind. Every reader multiplies the magic.